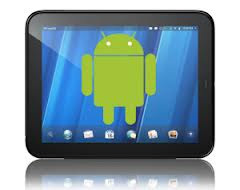 Rumour: HP set to debut Android tablet and possibly a phone? The Verge and ReadWrite are reporting that HP is currently ramping up work on a set of Android devices which could possibly include both tablets and a phone! This could potentially be sad news for WebOS, because it would ultimately end the OS, but it would be a huge boost for Android if it were to materialise! ReadWrite were supposedly tipped by two anonymous sources that HP will announce a tablet rocking Nvidia's new Tegra 4 chip, a move which would make sense for both companies as they're both seeking to establish their respective products. This device has supposedly been in the offing since before Thanksgiving of last year. The Verge claim that that is relatively accurate according to their 'source' but no one knows anything about timetables. The smartphone rumour is a bit more tenuous though. It essentially hinges on a statement from HP's CEO, Meg Whitman, who said, "we have to ultimately offer a smartphone because in many countries of the world that would be your first computing device." However, since then she has gone on record and said that HP 'has no plans' to debut a phone this year and so we should take this rumour with a massive pinch of salt! Naturally, these are big rumours and so we urge you to take them with a huge fist-full of salt, but it would make sense for a computing behemoth to offer Android tablets, especially if they're struggling to shift Windows 8 devices! Looks like we'll have to wait and see how this one plays out!